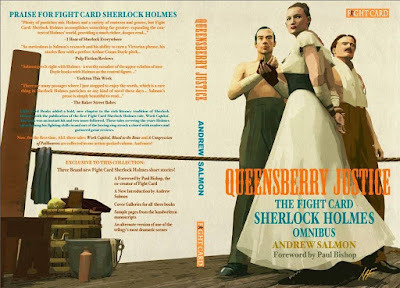 Last week, Andrew Salmon shared with us his anecdotes and thoughts on writing the Fight Card Sherlock Holmes books and the current collection of his Holmes stories, Queensberry Justice: A Fight Card Sherlock Holmes Omnibus. This week he shares more about one of the most important original characters in his Fight Card Sherlock Holmes stories—Eby Stokes. Eby Stokes is become an important character in the second and third Fight Card Sherlock Holmes tales. How did the character come to be? I thought the best way to get Holmes involved in women's boxing was to have him doing a favor for a female fighter whose boxer husband has run out on her under mysterious circumstances. 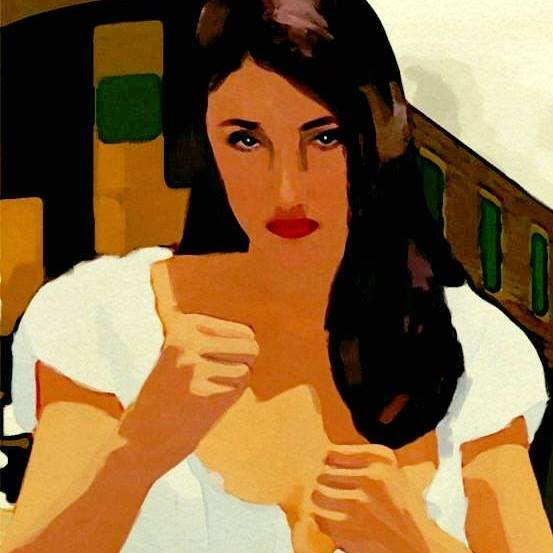 She was originally named Liv Stokes in honor of Elizabeth Stokes, the winner of the first recorded woman's bare knuckle boxing match in 1722. And I was approaching her introduction into the tale when real life tragedy struck. You based the appearance and illustrated version of Eby Stokes on a particular person. Can you tell us who and why? 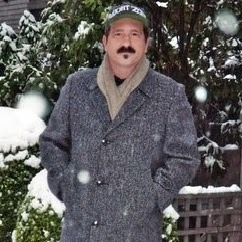 A dear friend of my wife's and myself died suddenly. 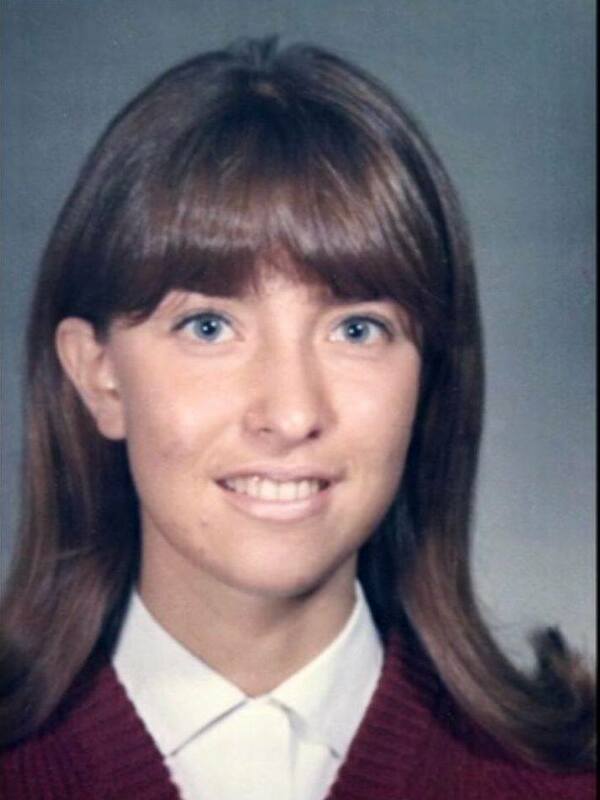 Her name was Linda Gavin and she was like a sister to my wife. Linda was intelligent, compassionate and everyone who knew her thought the world of her. Her sudden passing hit many people very hard. My wife and myself included. Dealing with our grief while attempting to make some progress on the tale, I hit on the idea of honoring Linda's memory by renaming my female boxer. 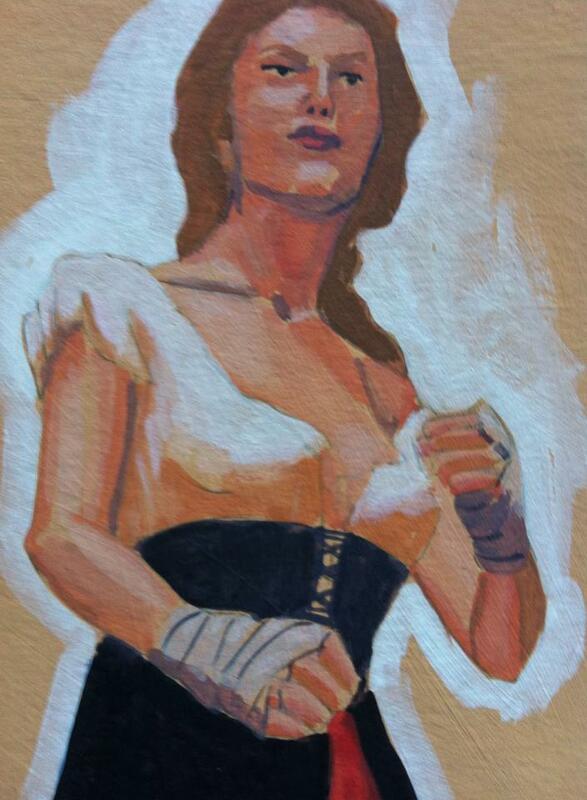 Linda was a staunch advocate for gender equality and a tough, capable, intelligent boxer who could go toe to toe with Holmes was a character she would have appreciated. Thus Liv Stokes became Eby Stokes—Eby being Linda's maiden name. As the book was to be released a few months after Linda's memorial, I dedicated the book to her memory, but also asked artist Mike Fyles if he could shape his depiction of Eby on the cover to match some photos of a young Linda I sent him. Mike's great and agreed immediately. Where things got spooky was with his depiction. I sent him an image of Linda in her youth (boxing is a young person's game) and Eby Stokes needed to be a young woman. Mike used the photo as his model, but unlike the old photo, Mike placed Eby's hair pulled down in front of her left shoulder. What's spooky about that? Well, in later life, Linda always placed her hair in the same spot before a photo. She would go out of her way to do so. It was something of a joke when posing for photographs—hold on, wait for Linda to arrange her hair. So how did Mike know about her hair? I never told him. The photo didn't show it. And yet there it was. This was yet another indication the character of Eby Stokes was taking on a life all her own. This had been evident to me while writing Blood to the Bone as she matched wits with Holmes and Watson and demonstrated her fighting prowess. To see Mike channel Linda into Eby's appearance with no prompting from anyone who knew her was a wonderful moment. The reaction readers have had to her in her first two appearances continue the real life affect Linda had on people. They were drawn to her, felt comfortable with her, and she was always ready to help when and where she could. She has infused the character of Eby Stokes, and I think this has gone a long way to explaining her instant popularity. What was your vision for Queensberry Justice: The Fight Card Sherlock Holmes Omnibus? Anyone reading this who owns a copy of the omnibus—you have my vision of the book. I think it came out great! When you first proposed the idea of the omnibus, I was flattered and humbled at the idea of collecting the material in a deluxe format. Discussing the cover art with the brilliant Mike Fyles, I merely asked for something iconic. Not for my own ego, but rather, for the concept, which was completely and utterly original. Getting to be the first at something is a high honor and I'm proud of all the work the team did on the three books. So why not put the omnibus out there as a testament? But to Mike. I just said, go iconic and left it in his more than capable hands. Well, you see the result! He comes back with this incredible wraparound cover! Of course we had to make the inside live up to the cover! I think we did. We've got your great foreword, I threw in an introduction, the books and essays themselves, the brand new short stories, the cover and art galleries—I mean, wow! What more can one ask for? 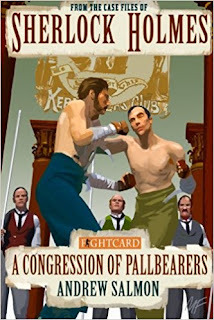 We've given the reader not only a nice collection of the original books, but have also invited him or her behind the curtain at Fight Card Central. A truly immersive experience. There are a number of related articles in the omnibus. What is their theme and purpose? The articles were great fun to do. The idea was, again, that glimpse behind the curtain at how we got the books done. But also, they allowed for some of the history to be explored. 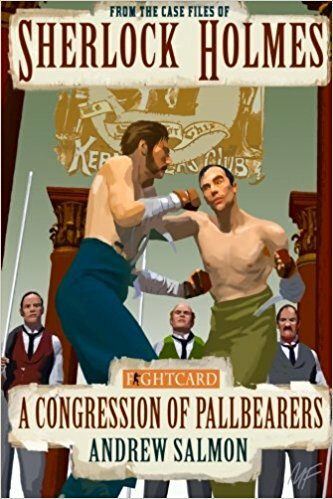 Not just the fictional history concerning how Doyle planted the seeds for Fight Card Sherlock Holmes in the original canon but also the real history of the fight game at that time. 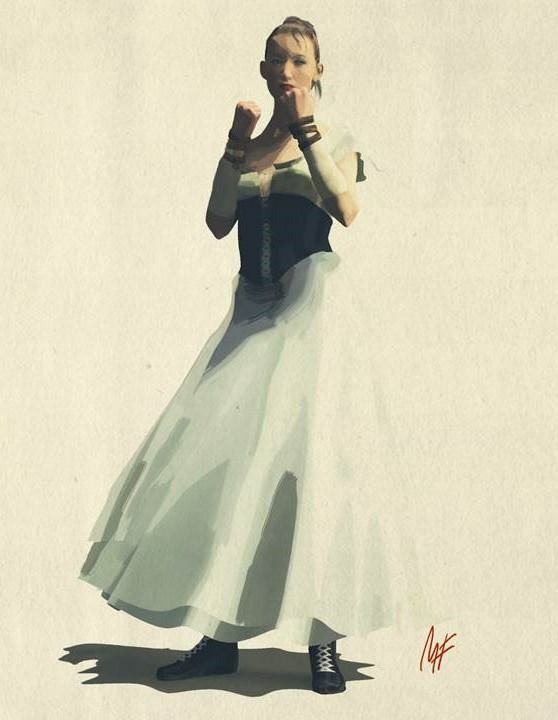 I do know that the revelation of Victorian women's bare knuckle boxing caused a mini-explosion when we showcased it in the second book, Blood to the Bone. More than one reader and reviewer thought I had made that up out of whole cloth - a modern retcon of history - and were blown away when the essays accompanying the book revealed women's bare knuckle boxing to be fact, not fiction! I believe this is one of the major achievements of the series outside of just reading enjoyment. And I hope the forgotten history of these tough, capable women will continue to grow through the Fight Card Books and journalistic pursuits. You worked closely with illustrator Mike Fyles on the covers of the second and third Fight Card Sherlock Holmes novels and the omnibus. Can you tell us about that collaboration? Mike Fyles is the best artist in New Pulp. Period. And that's saying something because there are a number of very good artists at work today. Seeing his great work over the years, I used to yearn for a Fyles cover the way the great writers of the 60s yearned for a Robert McGinnis cover. I approached him for a project many years ago, a project I felt was going to be truly special and needed the best in the business to frame it. Then I just crossed my fingers and prayed. He replied favorably and I could breathe again. It was while working on that project (which will be finished soon) that Mike and I just clicked. 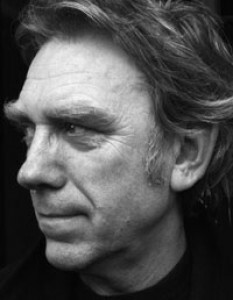 I would give him as much information on a subject as I could and he would create stunning images which encapsulated all of my hopes for a character or scene. Bringing him in to the Fight Card team for the debut of Eby Stokes in Blood to the Bone just felt right. 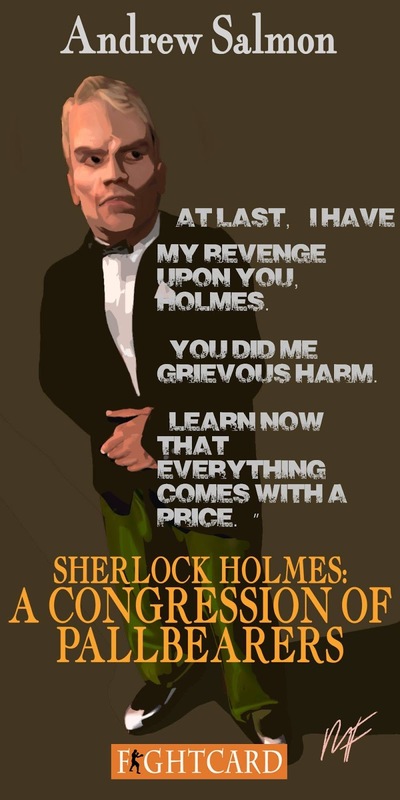 He's gone on to breathe life into her and Holmes ever since. I work with these characters on the page, painting word pictures, but he adds so much detail, soul and makes them unforgettable once his work is viewed in conjunction with the tales themselves. It's a natural collaboration, we just click, and the results have blown me away. He's great! And I'm honored to work with him. As a side note, my depiction of Dr. Moore Agar is based on Mike. What can I say? He looks like Dr. Agar! Mike and I have many projects ahead of us. While discussing artists, we shouldn't leave out Carl Yonder who provided the great cover for Work Capitol, the first Fight Card Sherlock Holmes book. 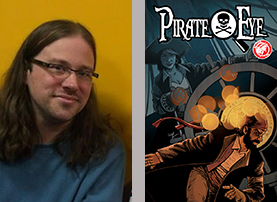 I don't know Carl well personally, but I am very familiar with his distinctive work on Pirate Eye and elsewhere. He brought a great feel and tone to the Work Capitol cover. Carl, like me, had to create something completely new and original. We were all in uncharted territory. And he did a great job. It was such a treat to include the cover and art galleries in the omnibus. The collection was meant to be a captivating showcase for what Fight Card Books achieved and the work of Carl and Mike was crucial to any success the individual books received. The omnibus just wouldn't be complete without them stepping out to take their bows. You wrote three Sherlock Holmes short stories exclusive to Queensberry Justice. Are they connected to the Fight Card Sherlock Holmes novels? 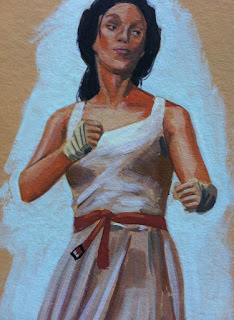 By the time we were putting together the omnibus, I was well underway creating the world of Eby Stokes and her important connection to the three Fight Card books. I liked this idea of connectivity and thought it would be fun to connect the three books more so than just having them connected under one cover. This also provided an opportunity to re-visit the Fight Card Sherlock Holmes world one more time. The result was three new short stories sprinkled strategically through the omnibus. 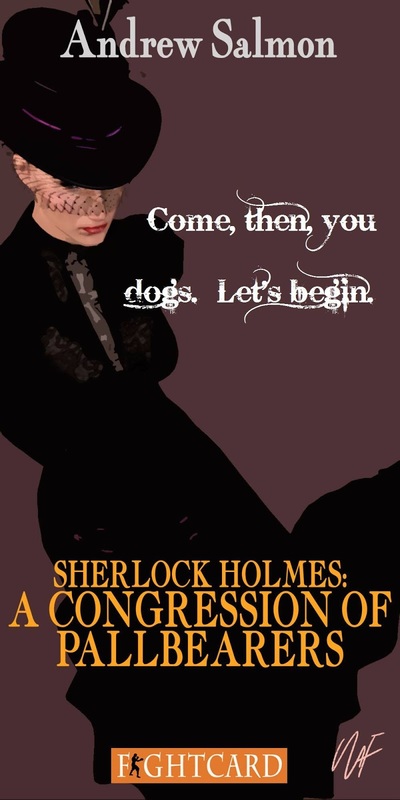 The first kicks off the omnibus and expands on the training Holmes received before we encounter him in Work Capitol. The second is for Eby Stokes fans. It is set before she teams up with Holmes and Watson in Blood to the Bone, and has some connection to the goings on in Work Capitol. The third story features Watson in a solo outing and delves deeper into his mindset before the start of A Congression of Pallbearers. Hopefully readers will get the feeling they are reading one long narrative as they work through the omnibus. While Sherlock may be taking a respite from his fistic pursuits, what is in store for Eby Stokes? To illustrate how dense I could be, as I came to the end of writing A Congression of Pallbearers, the third and final book in the omnibus, I found myself being saddened at the thought of saying goodbye to some of the characters we'd encountered over the course of the trilogy. I had already decided after the second book and the impact Eby Stokes made on readers to spin her off into her own series. 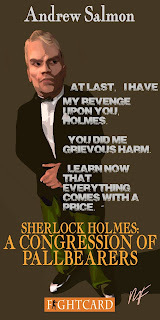 Plus I knew I would continue writing Holmes tales. But for some of the other characters, this was goodbye. The closer I got to the end of writing the book, my mind began to muse on the Eby Stokes series and how I'd be faced with filling out her supporting cast and setting up her world until, duh, I realized, why not use the characters I was so reluctant to say goodbye to in the original trilogy in the new series? 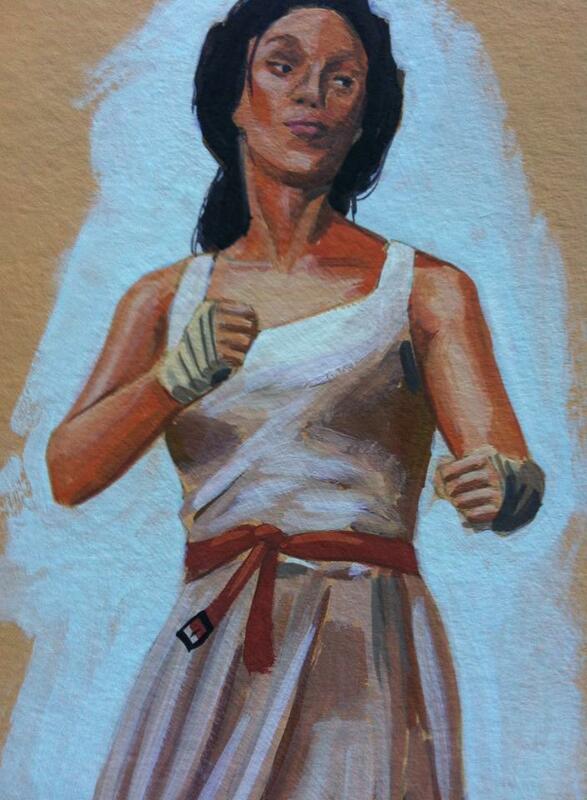 And so, the Eby Stokes series will be a direct off-shoot of the Fight Card books. 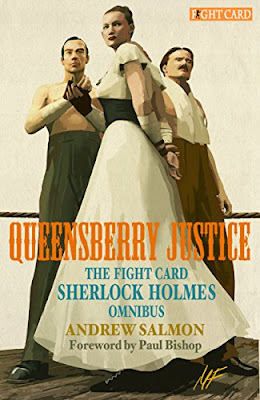 Queensberry Justice serves, in a way, as the origin story for Eby Stokes. In her first novel, which I will hopefully have out later this year, she'll be presented fully formed and getting down to the Crown's business. Normally so much time has to be put in at the outset to fill in the protagonist's back story, but here the three Fight Card books collected in the omnibus do that on a much broader canvas, making it, in a way, Book One of the Eby Stokes series as well as a fun collection of Holmes tales. I've got ideas for the first four novels in the Eby Stokes series. I hope readers will enjoy getting closer to Eby. Learning more about her has been fun for the author. I hope it's as much fun for readers. She is one capable individual. 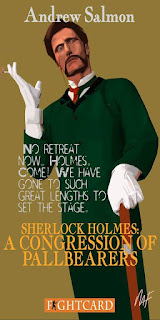 Here's an exclusive tease of the first novel in progress: Eby Stokes is working under Mycroft Holmes at Special Branch, heading up a team of action agents consisting of herself, Dr. Moore Agar (the personal physician of Sherlock Holmes) and Peter Hayden, a dwarf of considerable abilities from Work Capitol. London is overrun with spies, anarchists, and dynamite provocateurs and there's a plot brewing with catastrophic consequences not just for England but the world. 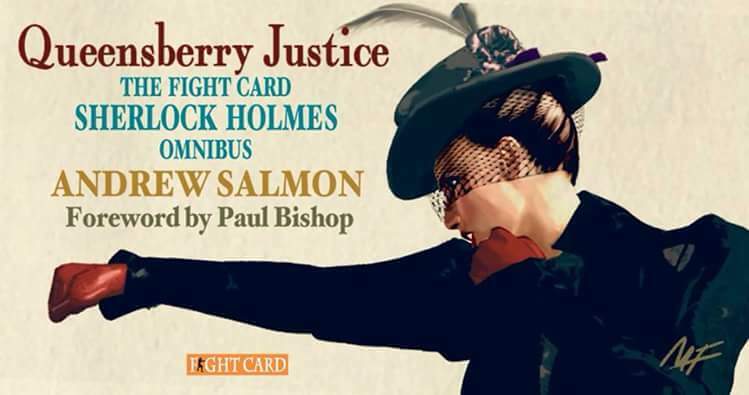 What has creating the Fight Card Sherlock Holmes novels and the critical acclaim they have received meant to you as a writer? I've been fortunate to work with some great folks! Ron Fortier and Rob Davis at Airship 27, Tommy Hancock at Pro Se Press, and of course, a certain Mr. Bishop over at Fight Card Books. All of these experiences have been different, but also rewarding. 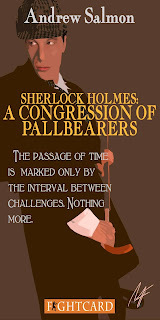 My Holmes tales for Airship 27 were a hit with Sherlockians and mystery fans alike. The two awards my work have garnered, for which I'm eternally grateful, were for Sherlock Holmes tales. When the invitation to create something utterly new in Holmes history was suggested to me, I was so honored to be considered for the task. Suddenly the pressure to get it right was on my shoulders. Also, there was nowhere for me to hide so to speak. All of my Holmes tales had been part of anthologies with other writers. Now, it was just me handling the writing duties. With the rich legacy of Doyle's Sherlock Holmes, I had to step up, center stage, and Get. It. Right. The pressure was on, and I welcomed the work. Seeing the positive reactions to the individual books and, already, strong reaction to the omnibus, has been a wonderful stepping out for me into the Sherlockian world. 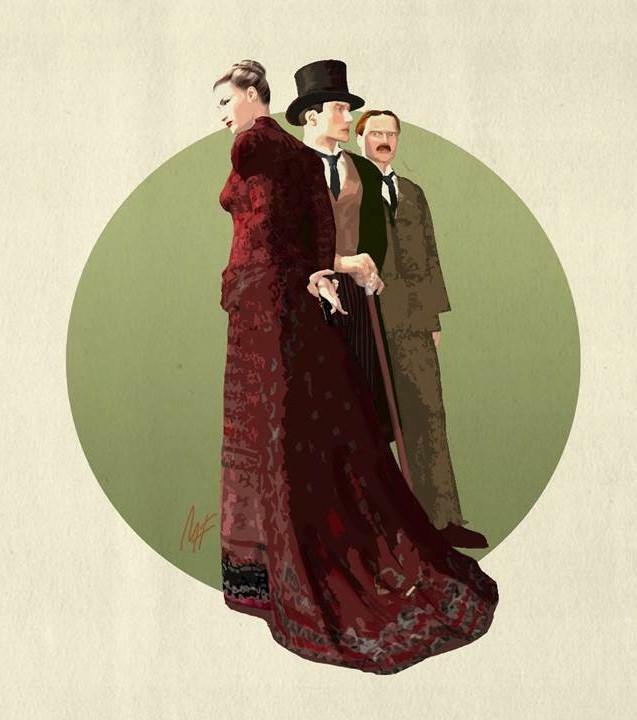 The vast army of dedicated Holmes fans are a true test of a writer's abilities. If one can write Holmes and Watson to a level which satisfies these passionate fans, then one knows he or she is on the right track. A writer cannot judge their work. Readers decide if a work is a success or not. The positive reaction has been heart-warming and encouraging for me, and I thank everyone who has given these tales a try. I wrote these tales for readers, and readers have enjoyed them. Mission accomplished. And now I want to continue the same pattern with the Eby Stokes series, more Holmes tales eventually, and other projects. The reaction to Fight Card Sherlock Holmes has shown me there are readers eager to come along for the ride. That's a responsibility I take very seriously and am so grateful for it. I can promise readers they will always get my absolute best effort every time. Hold on tight, it's going to be a wild ride! 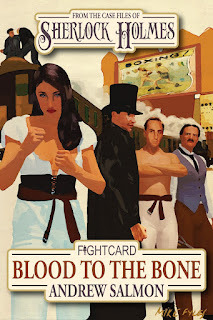 Fight Card Books added a bold, new chapter to the rich literary tradition of Sherlock Holmes with the publication of the first Fight Card Sherlock Holmes tale, Work Capitol. The book was an instant hit and two more followed. These tales covering the years Holmes spent honing his fighting skills in and out of the boxing ring struck a chord with readers and garnered great reviews. Now, for the first time, ALL three tales: Work Capitol, Blood to the Bone and A Congression of Pallbearers are collected in one action-packed volume. And more!